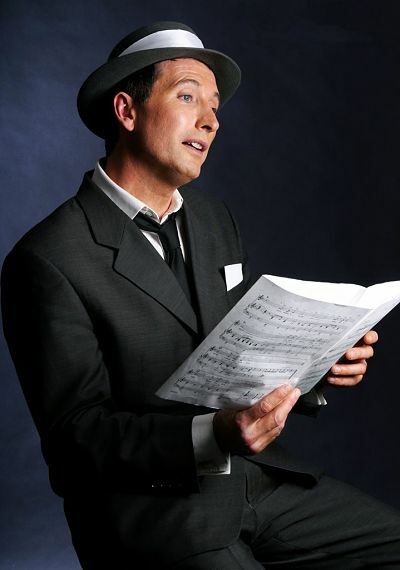 An unrivalled Sinatra Tribute singer and only Sinatra act in UK recommended by President of Sinatra Music Society. 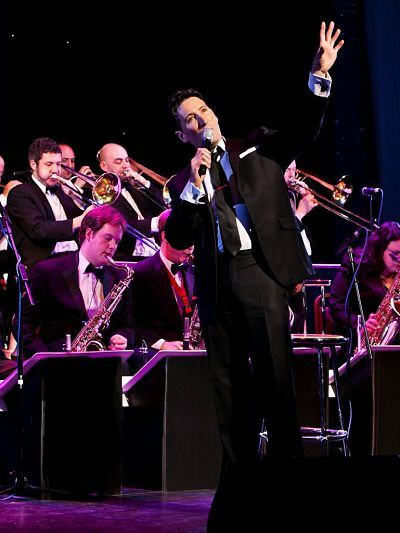 Known for his effortless renditions and unforgettable live vocal shows he proves time and again why he’s the first-choice for weddings, functions & corporate events around today. 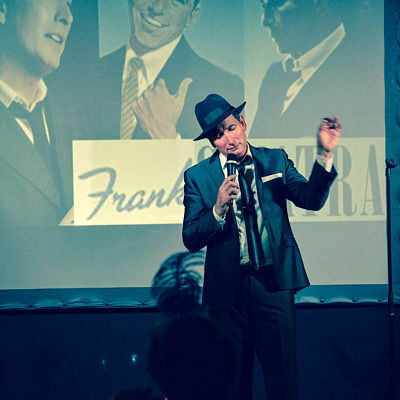 He’s also impersonated Sinatra’s voice on a TV advert with Oscar-nominated film-star Naomi Watts, was star attraction at the London & New York book-launches for ‘The Rat Pack’ (by ReelArtPress), has been booked by many celebrities/TV stars & sports stars and twice for royalty, appeared on TV on E4′s Made In Chelsea, BBC3 Don’t Tell The Bride, Wedding.TV and has starred in a touring Frank Sinatra theatre show for last 5 years. Prestige brands like Hermes, Louis Vuitton & global corporations have also sought his wonderful voice for promotions/campaigns in UK, Asia and USA. His broad appeal has seen him impress at a hugely diverse number of events & weddings – both large & loud and small & intimate – everywhere from his local Golf Club to glittering ceremonies in European palazzos & chateaux and beyond. 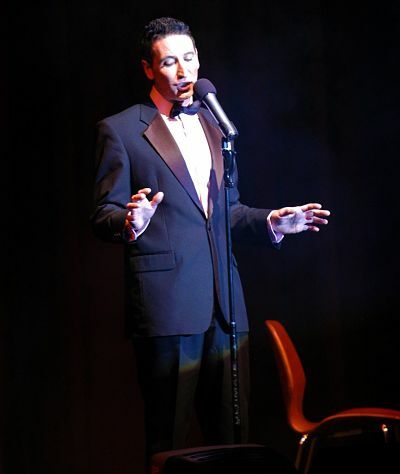 Clients can hire him as a classic Frank Sinatra-style singer or the full look-alike/sound-alike impersonation complete with authentic Hoboken accent between songs. 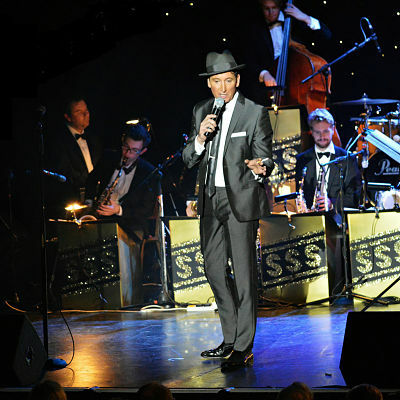 Whether it’s a mix and mingle act, memorable background sets, superb over-dinner entertainment, a wow-factor show or a full dance floor, be assured of an entertaining set delivering seriously swinging interpretations of all your Frank Sinatra favourites with enormous presence. 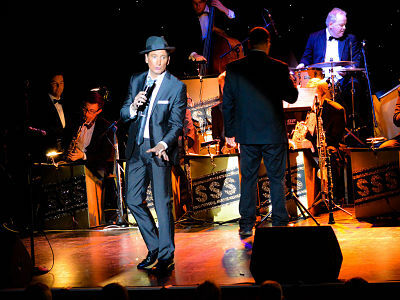 Available solo or with his Sinatra Tribute Band (including Big Band option). Mix & Mingle/Meet & Greet Bookings:Conversing in Sinatra’s New Jersey accent and sporting a sharp suit, matching signature hat and ‘old blue eyes’ contact lenses, he always makes an impression on mix and mingle assignments impersonating Sinatra in his 1950s peak…especially so if someone asks him to give an impromptu song! As a Solo Singer: Full and authentic live band backing tracks only are used. A choice of 2 x 45 minute sets with sort break between, or an hour set is most often performed and these options can be tailored to your requirements. 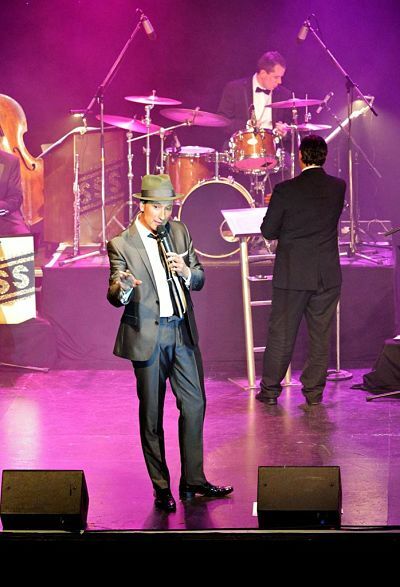 With a Band: Clients can book combinations from piano backing to Big Band. Popular options are 4-8 piece band (main instruments: piano, drums, upright bass, tenor sax, trumpet, trombone, flute, jazz guitar, alto sax/clarinet). A choice of up to an hour set, 2 x 45/2 x 60 minute sets with short break between is most often performed and these options can be tailored to your requirements. 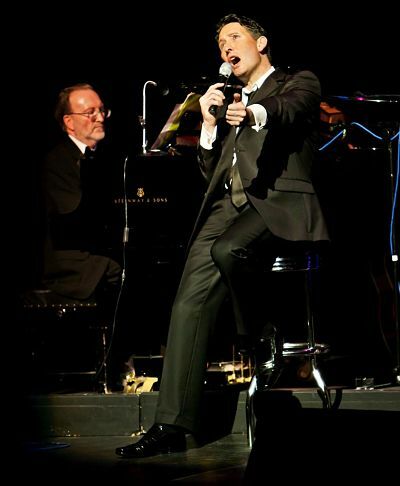 What a fantastic singer he is as Frank Sinatra, he made my wedding day go off superbly. People haven’t stopped talking about it and with him there singing I achieved the atmosphere I was looking for. Everyone thought he was fabulous so I can’t thank him enough for making my day!